Carney appointment provides fresh fodder for UK press! Britain on Tuesday was still digesting the fact that for the first time in its 318-year history, the Bank of England would be lead by a foreigner — and the man for the job came from Canada, a former colony. Britain’s Finance Minister George Osborne stunned analysts and journalists alike on Monday by announcing that Bank of Canada Governor Mark Carney would head the Bank of England starting in July. The Times of London was so confident the English central bank’s deputy governor Paul Tucker would be promoted to the top that it wrote an editorial on Monday praising him as the best man for the job. Most had taken Carney at his word when he told the BBC months ago that he had ruled himself out for the job. All except Osborne. The Financial Times editorial cartoon depicted Carney in a parachute emblazoned with a red maple leaf landing at the Bank of England as startled staff looked up from their computer screens. Workers were still absorbing the news in the City of London, the square-mile financial district simply known as “the City” that is home to one of the world’s most important financial centres. “Why do we have a Canadian? Weird,” a man in the street told Sky News. “I think it would be better if we had a British guy,” a female City worker told the broadcaster. Carney crashed into the news pages and dragging Canada with him. The Guardian’s editorial began by repeating an old Fleet Street joke that “any story with ‘Canada’ in the first line is guaranteed not to get read,” but adding Carney’s appointment has proved an exception. The Times ran a list of other high achievers from Canada along with Bryan Adams, Celine Dion, Leonard Cohen and Margaret Atwood it also included James Gosling, father of Java programming language, John Peters Humphrey, author of Universal Declaration of Human Rights and James Till and Ernest McCulloch, the scientists who demonstrated stem cells’ existence. To help establish Carney as the Patrick Roy of central banking, The Times led off a profile of Carney with his perfect record as a goalie for the Harvard Crimsons, for whom he stopped every shot he faced. It failed to mention, however, that he was the back-up goalie and his five saves were in the only game he played. What was indisputable, The Financial Times wrote, was that Carney was the only central banker to emerge from the financial crisis with his reputation stronger than before. “It is extraordinary and admirable — that a country should choose to give its most important official position to a foreigner such a Mr. Carney … yet it is also both a surprise and a gamble,” Martin Wolf, the Financial Times’ chief economics commentator wrote. 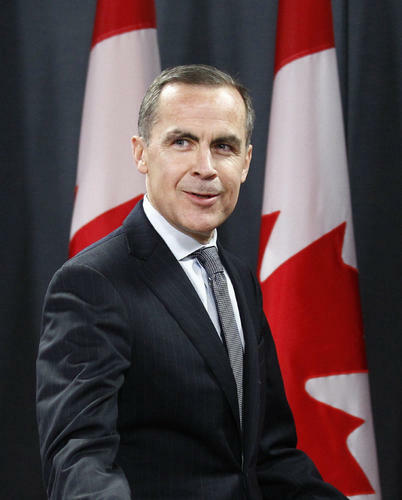 The job that Carney has accepted is much bigger than the role he has played in Ottawa because starting next year he will be tasked with supervising Britain’s banks. “What’s exciting about Mark Carney is not so much that he is a Canadian or that he is a surprise, but that he’s got an almost unique depth of experience in capital markets for a central banker,” Rachel Lomax, a former deputy governor of the Bank of England, told BBC Radio. Although, Carney has said he will apply to become a British national when he takes the job, BBC business editor Robert Peston pointed out how unprecedented it would be for someone from Fort Smith in the Northwest Territories to be representing Britain in negotiations with other European central bankers. “In the eyes of the rest of the world, this is quite a bold move, I can’t think of another developed economy that would appoint a foreigner to run their central bank,” Peston said. This entry was posted in Uncategorized by Best Toronto Tours. Bookmark the permalink.